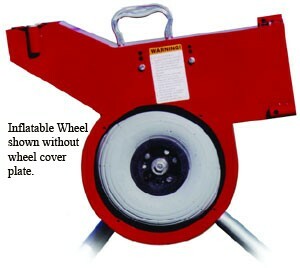 Additionally, you can order an Optional AutoFeeder with your Heater Baseball Pitching Machine. 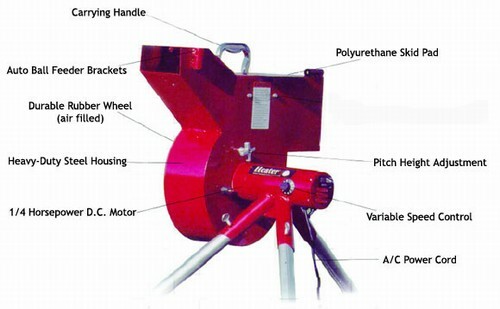 The AutoFeeder holds 12 real baseballs or 12 baseball sized pitching machine balls, delivering a pitch every 12 seconds. Easy to put together and set up to batting cage, only have used it for a week so far, works as advertised, using real baseballs,will see how long they last, get back to you. Didn"t get handle to carry machine, no biggie, unless this has happened to a lot of customers. FYI. Good machine for a good price. The machine works as advertised. I works more consitently accurate if you use the pitching machine balls. Perfect strike each time! So for the price it's a great deal. My sons use it probably 5-6 days per week. Have only had machine 1 day but it certainly performs as advertised. Was concerned that speed would be an issue(not fast enough) but it is more than fast enough. Plenty of room for growth. Used by 9 year olds. Appears well made/heavy duty. Using recommended lite balls and dimpled pitching machine balls. Would recomend machine and pitching machine pro to anyone.